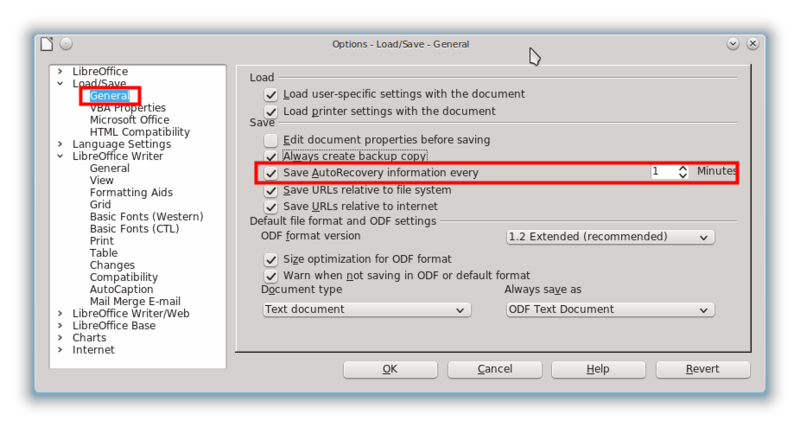 To enable autosave in LibreOffice, go to menu Tools > Options > Load/Save > General > check Save AutoRecovery information every option > give a time value. For example, we give it 1 minute so LibreOffice will do autosave every 1 minute. You can also check Always create backup copy option so LibreOffice will always save hidden file as a copy of your current document. That kind of file is very useful after the computer experienced power failure or any other disaster. See picture below.